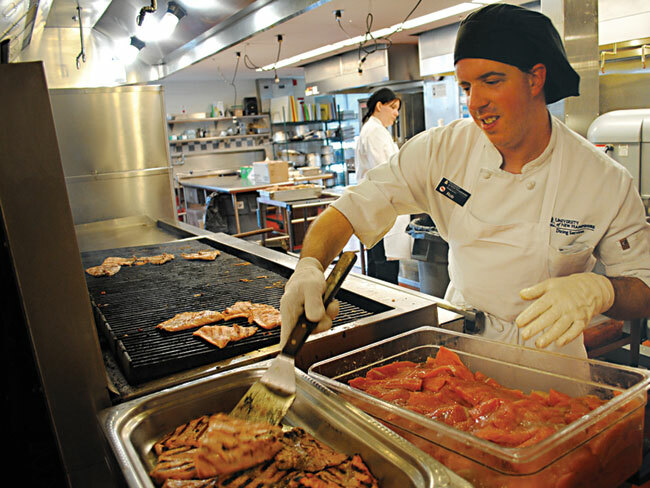 Foodservice operators at many colleges and universities have developed health and wellness programs, but few have taken their efforts to the extent that dining services at the University of New Hampshire has done. 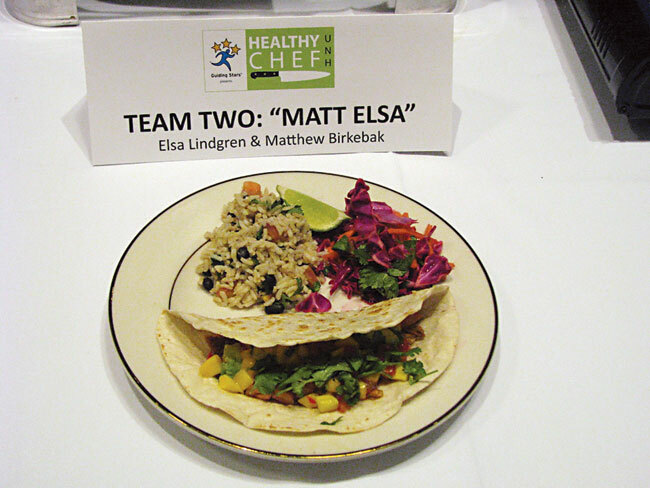 Not only has the department, led by Director Jon Plodzik, implemented nutrition education components and dealt with the issues of allergens and gluten intolerance, it also has partnered with the Healthy UNH Initiative to engage people from all over campus to live a healthier lifestyle. That extra push is what led judges to honor the university with the Goldies Award in the category Health & Wellness. 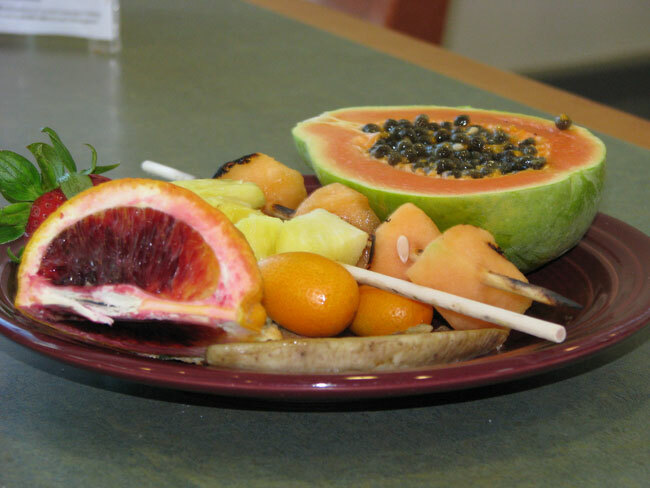 Dining services at the University of New Hampshire has taken a multi-department approach to improving the health of its customers. “Three years ago, [University] President Huddleston said he thought we could be doing better in the area of health—not just wellness but overall health,” says Jill Porter, one of the principals of Healthy UNH. “We’ve taken a broad approach from the UNH side, bringing folks together from all around campus. But dining has been able to connect the dots for us across multiple layers. Where at other campuses you might see the dining program working in isolation, here they really have tried to engage, as much as possible, other parts of the university. 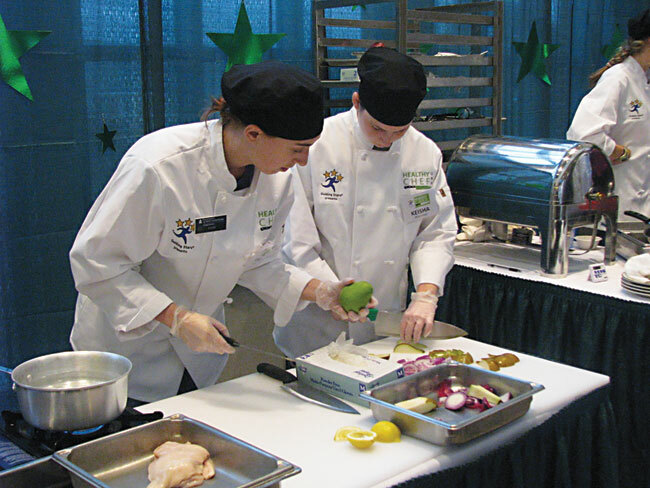 The keystone of the UNH healthy dining initiative has been dining services’ use of the Guiding Stars program. Guiding Stars is an independent service that measures the health quotient of foods and labels them accordingly with stars. The more stars—the maximum is three—the healthier the item. 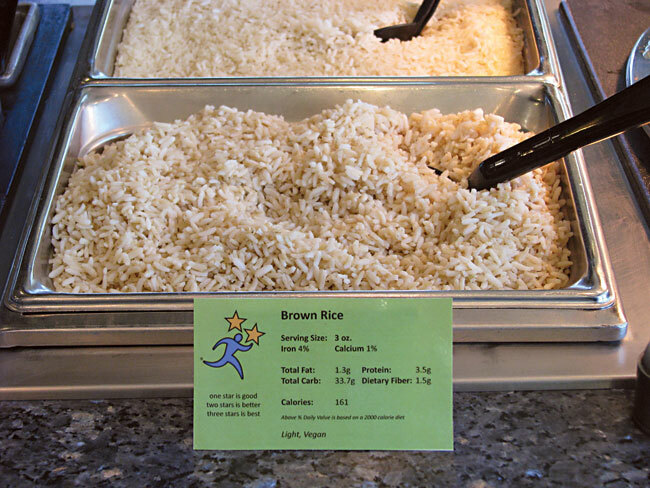 In addition to the use of the Guiding Stars, dining services lists all nutritional information, not only at the point of selection but also on the department’s website, at nutrition kiosks in the dining halls and even as an app for smartphones. 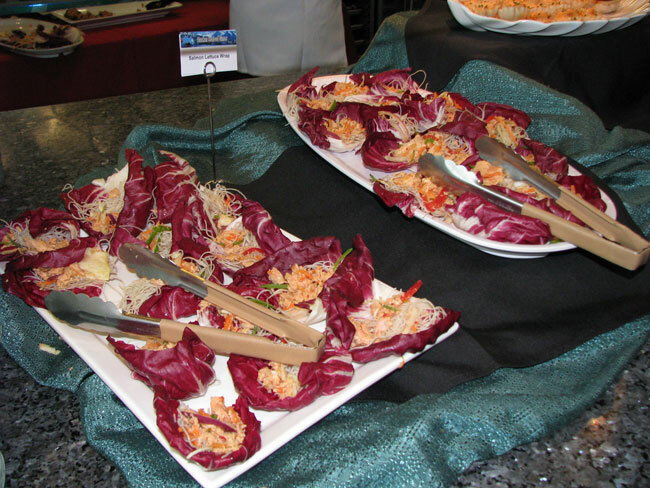 “Students and guests delight in the flexibility and choices we offer for dietary concerns like gluten intolerance, food allergies, lifestyle preferences and religious beliefs. Our gluten-free program is like no other, offering the ability to select gluten-free options online, via our ‘gluten phone,’ in our gluten-free stations located in each dining hall and through personal consultation with our culinary director and dietitian. One thing UNH’s healthy initiative has not done is limit or place an emphasis on prohibition. Culinary Services Director Ralph Coughenour has been working diligently with his team of chefs to reduce the sodium, sugar and trans fats in virtually everything the department prepares. Students get a chance to prepare healthy food during the Guiding Stars student chef competition. A lunch based around tropical fruit. 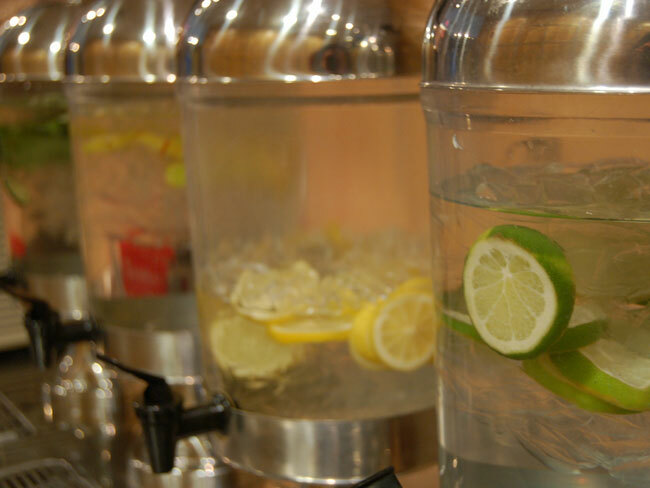 Hydration stations encourage customers to choose water. Fish has taken a bigger share of the protein pie as UNH's healthy dining initiative has taken hold. 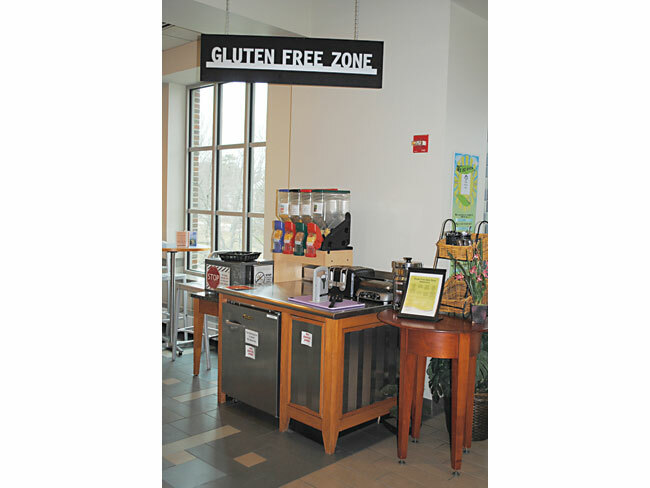 UNH has established gluten-free zones in all of its residential dining halls. Guiding Stars is a keystone of the educational component of the university's wellness efforts. Entries and participants in UNH's Guiding Stars student chef competition. 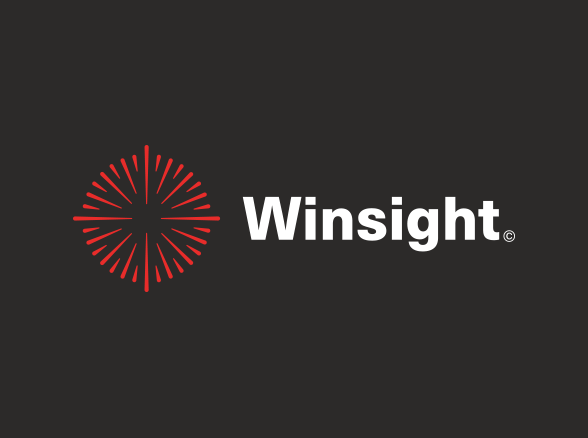 Jon Plodzik: Chasing the "wow"